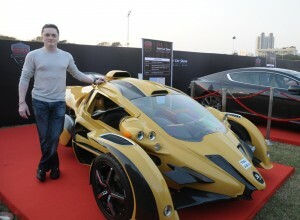 2012 Parx Super Car Show‘s 4th edition will be held on 22nd January 2012 at Riding School, Mahalakshmi Race Course, Mumbai, where approximately 80 of most coveted dream vehicles of the world will be displayed. Valentino Balboni, former chief test driver of Lamborghini and world famous will also be present at the show. 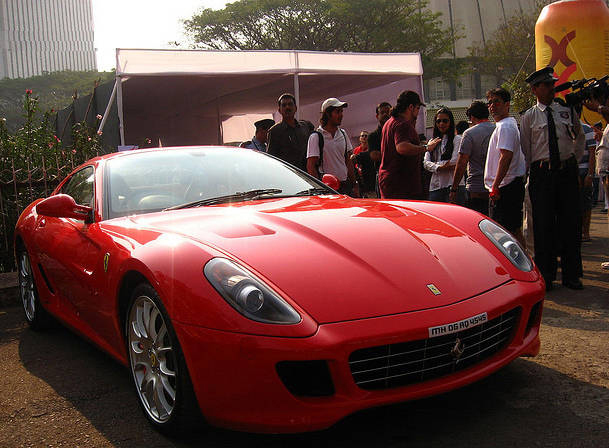 Super Car Club, which organized the exhibition will play host to Bentley, Lamborghini, Aston Martin, Ferrari and Porsche cars. 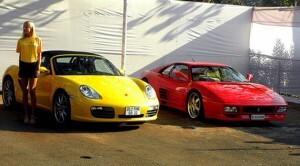 The show will commence at 8:30am on 22nd January 2012 and will be ending at 10:00am the same day. The super car parade departure will begin at 10:00 am and display venue is Riding School, Mahalakshmi Race Course, Mumbai, India. Mahalakshmi Race Course – Nariman Point – Marine Drive – Walkeshwar – Malabar Hill – Kamla Nehru Park – Kemps Corner – Breach Candy – Haji Ali – Worli Sea Face – Regroup at start of Sea Link – Sea Link – Regroup after Sea Link – Kalina – U turn under flyover at Sahara Star – Kalina – Regroup before toll on Sea Link – Sea Link – Worli Sea Face – NSCI – Race Course.